Back in June, just a few months after the first season of Marvel's Daredevil debuted, Netflix and Marvel announced that The Walking Dead star Jon Bernthal had signed on to play Frank Castle, a.k.a. The Punisher in Season 2 of the hit series. 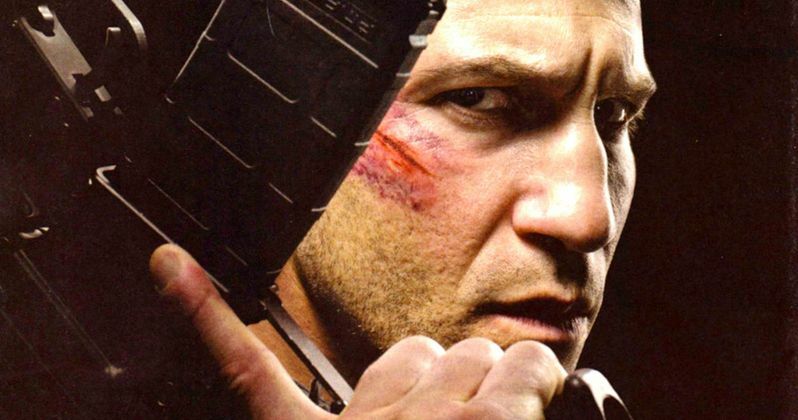 Just one month later, Netflix chief content officer Ted Sarandos teased the possibility of a Punisher spinoff series or even a movie. However, during a new interview with Digital Spy, Marvel TV president Jeph Loeb shot down rumors of this spinoff's development. Back in January, another report claimed that Netflix was reportedly "very close" to announcing The Punisher spinoff series, but we haven't heard anything official about the potential series since then. Jon Bernthal was said to return as the title character, if the spinoff did move forward, in what would have been Netflix's 6th superhero series, following Marvel's Daredevil, which is getting ready to debut its second season. Marvel's Jessica Jones debuted back in November, with Marvel's Luke Cage and Marvel's Iron Fist slated to arrive later this year. All of these characters will come together in the epic miniseries event The Defenders. When asked about the lack of awards-season praise for Marvel's Daredevil and Marvel's Jessica Jones, Jeph Loeb said they're only trying to tell good stories, adding that he was "surprised" that Marvel's Jessica Jones was renewed for a second season. "What we're really trying to do is to tell the best stories that we can," he said. "For us, the greatest award was when Netflix called and said, 'We'd like to do another season with you.' When they announced that Jessica Jones was getting a second season, every single report said, 'It should come as a surprise to no one that Jessica Jones has received a second season order'. I'm the guy going, 'Well, it was a surprise to me!' It isn't a given in television. The fact that we get to continue telling stories with these characters speaks a lot about the quality of the storytelling and the acting and the writing. We are telling the best stories that we can at Netflix, and they seem to be responding to it." Of course, if The Punisher does prove to be a beloved character on this season of Marvel's Daredevil, it's certainly possible that a spinoff could be ordered, but as of now, it seems nothing is in development. The studio re-acquired The Punisher rights back in 2013, along with Blade, Ghost Rider and Daredevil. Now that he's back in the MCU, do you think The Punisher deserves his own series or possibly even a movie?